I had two midterms yesterday, so the entire last five days have actually consisted of nothing but me studying. I’ve never studied so much in my life, but it was definitely worth it. Gotta keep up that GPA if I wanna go to grad school! Aside from studying, well, I haven’t done really anything outside of my normal routine. So I’m gonna talk about part of that! I make at least one smoothie every day because 1. they’re delicious and 2. they’re cheap and 3. they make me feel healthy. So here are some pictures of one of them. 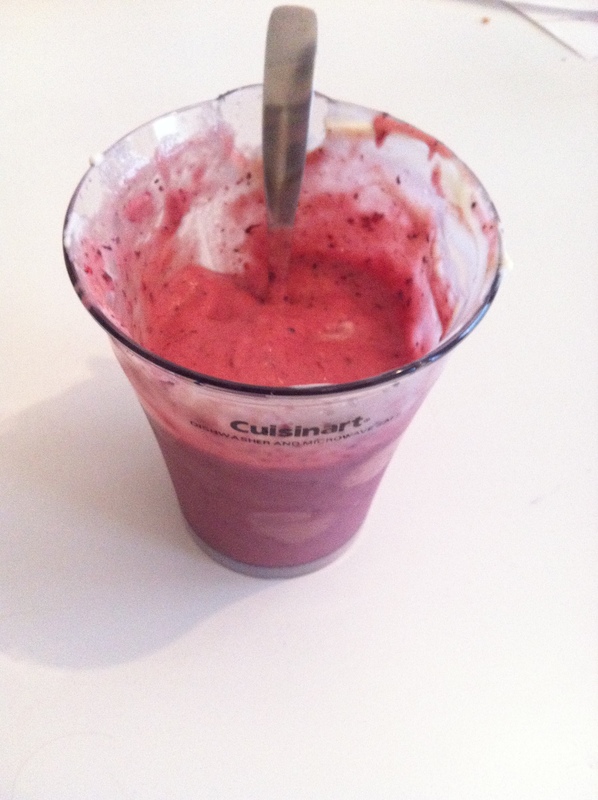 This one has frozen mango, frozen berry blend, a banana, and yogurt. 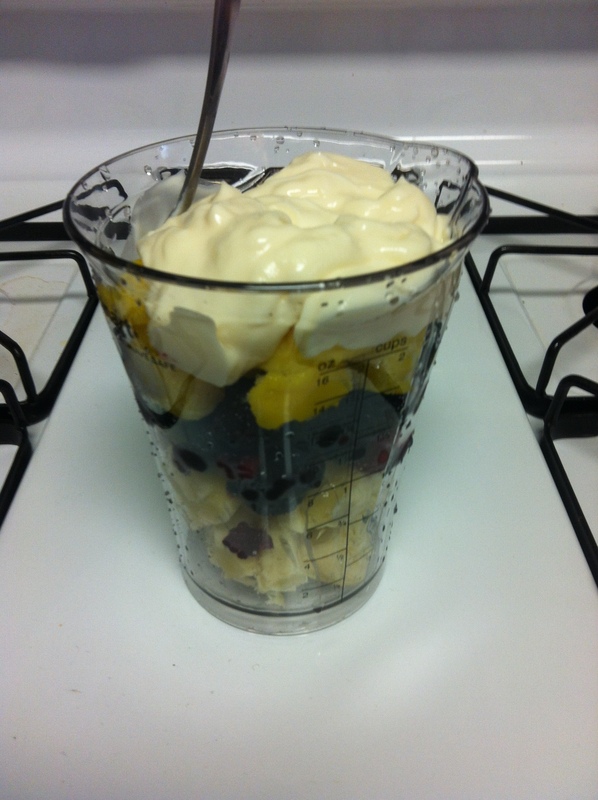 I also really like one with OJ, banana, and frozen mango in it. 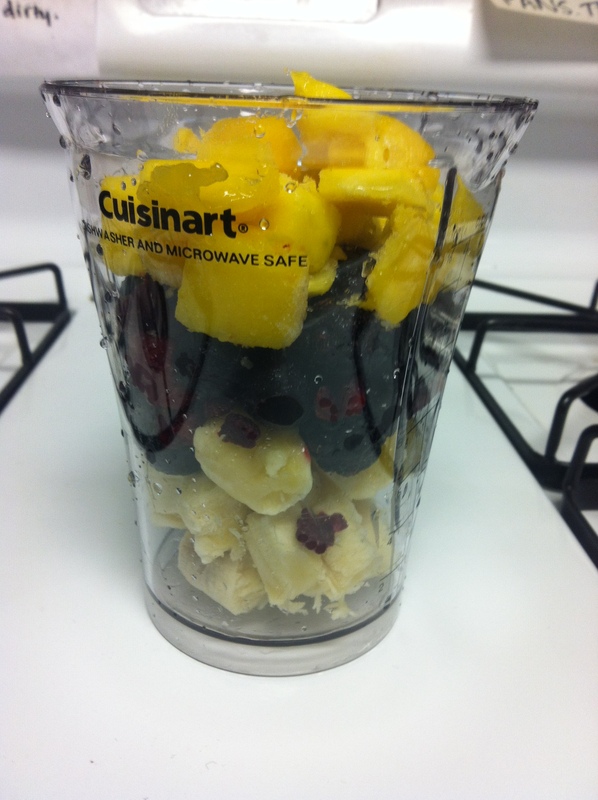 You don’t ever have to add ice, just buy frozen fruit (or freeze your own). 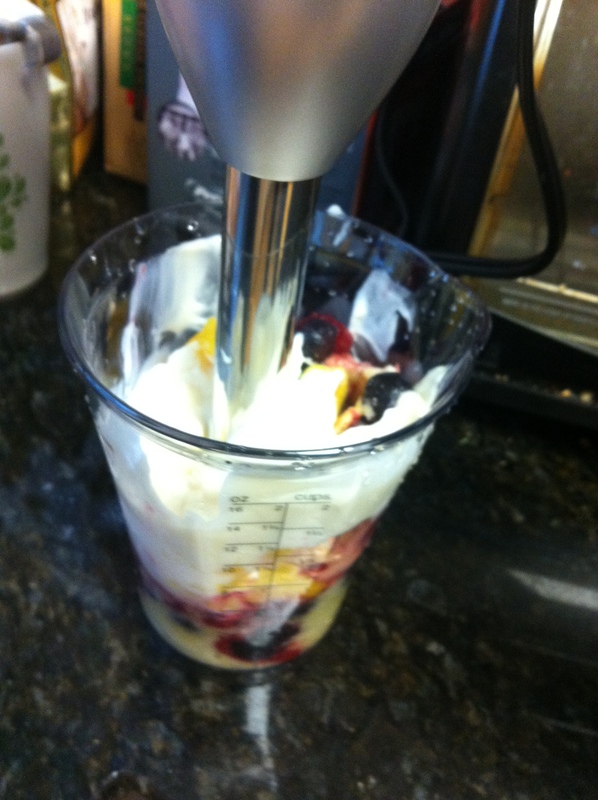 I use a hand blender because it’s easy to clean and really quick. Experimenting with new flavors is always fun too. Woo! My favorite college purchase – a Cuisinart hand blender!